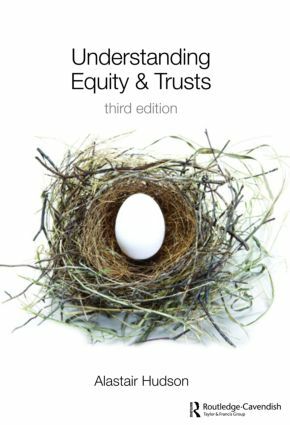 Understanding Equity and Trusts is a sister text to Alastair Hudson's leading textbook Equity and Trusts, that gives those unfamiliar with the subject a clear, accessible, readable and comprehensive overview of the main themes in this dynamic area of the law. Whether used at the beginning of studying this field, as an aid to study or in the period before examinations, this book provides the reader with an invaluable grounding in all of the key principles of equity and the law of trusts. This book covers all of the topics that a student reader will encounter in any trusts law or general equity course. The text deals with express trusts, resulting and constructive trusts, the duties of trustees, breach of trust and tracing, commercial uses of trusts, charities, pensions, trusts of homes and equitable remedies. The third edition has been revised and updated to include new material on investing trusts and trustee’s duties and the material on charities has been substantially rewritten in the light of the Charities Act 2006. The law of trusts is built on simple basic principles. The approach of this book is to begin with a clear presentation of those principles before guiding the reader through the more complex issues which are the feature of examinations in this subject. The lively text includes a large number of straightforward examples to make the discussion of the general law more accessible.